A product of top notch quality this one is a reliable set that will add value to your kitchenware.﻿﻿﻿With its sleek,stylish handle design and polished finish,it is deal for everyday use or can be taken out for those special occasions when you have to impress people﻿. 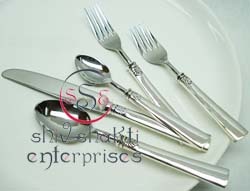 A product of top notch quality this one is a reliable set that will add value to your kitchenware﻿. 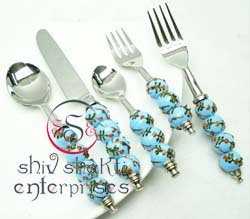 Beautiful kitchenware spoon. 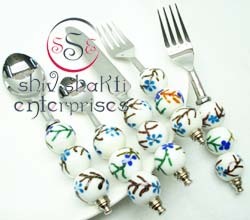 Beautifully decorated with floral carvings to give a traditional look. 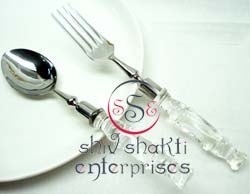 A must have accessory for your dining table. 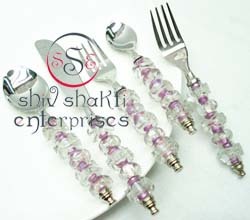 A classy gift item for all occasions.﻿﻿﻿ This is beautiful Gift. This is one of the most important parts of tableware items. A product of top notch quality this one is a reliable set that will add value to your kitchenware.﻿﻿﻿With its sleek,stylish handle design and polished finish,it is deal for everyday use or can be taken out for those special occasions when you have to impress people﻿. 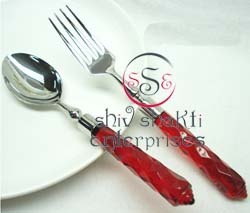 A product of top notch quality this one is a reliable set that will add value to your kitchenware. This is designed from high grade stainless steel and sports a dazzling finish which lends a touch of elegance to the simple design. A simple decorative band adorns the handle and gives the design a classic look. 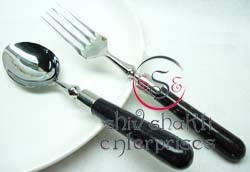 ﻿A product of top notch quality this one is a reliable set that will add value to your kitchenware. ﻿A product of top notch quality this one is a reliable set that will add value to your kitchenware.This is designed from high grade stainless steel and sports a dazzling finish which lends a touch of elegance to the simple design. A simple decorative band adorns the handle and gives the design a classic look. 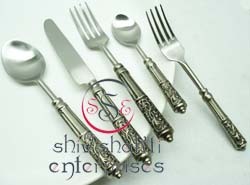 This cutlery set comes in a beautiful wooden box with velvet coverings. 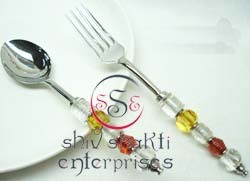 The shimmering beauty of these accessories shall surely anhance your appetite. ﻿A classy gift item for all occasions.﻿﻿﻿A product of top notch quality this one is a relaible set that will add value to your kitchenware. 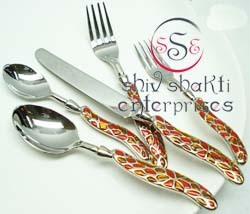 ﻿﻿﻿A product of top notch quality this one is a relaible set that will add value to your kitchenware. 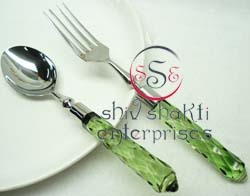 With its sleek,stylish handle design and polished finish,it is deal for everyday use or can be taken out for those special occasions when you have to impress people﻿. 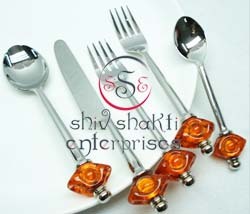 A product of top notch quality this one is a reliable set that will add value to your kitchenware﻿. 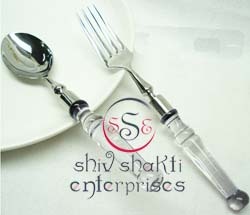 Beautiful kitchenware spoon. 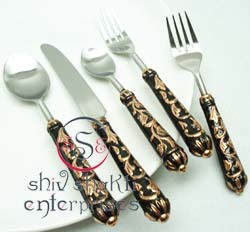 This cutlery set comes in a beautiful wooden box with velvet coverings. 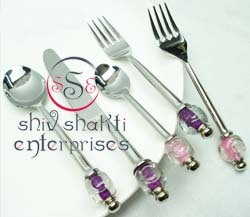 The shimmering beauty of these accessories shall surely anhance your appetite. 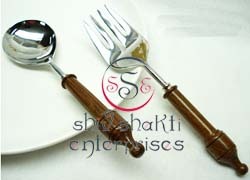 A simple decorative band adorns the handle and gives the design a classic look.This cutlery set comes in a beautiful wooden box with velvet coverings. 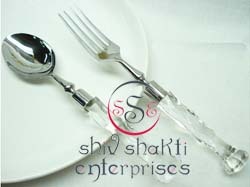 The shimmering beauty of these accessories shall surely anhance your appetite.This is designed from high grade stainless steel and sports a dazzling finish which lends a touch of elegance to the simple design. 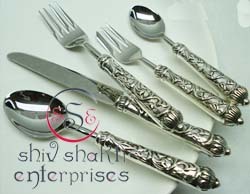 This is designed from high grade stainless steel and sports a dazzling finish which lends a touch of elegance to the simple design.﻿The shimmering beauty of these accessories shall surely anhance your appetite. 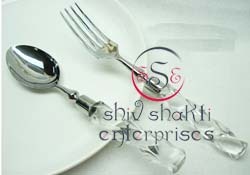 A product of top notch quality this one is a relaible set that will add value to your kitchenware.With its sleek,stylish handle design and polished finish,it is deal for everyday use or can be taken out for those special occasions when you have to impress people﻿. 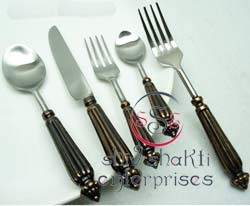 A product of top notch quality this one is a reliable set that will add value to your kitchenware﻿. ﻿﻿﻿A simple decorative band adorns the handle and gives the design a classic look. ﻿﻿A product of top notch quality this one is a relaible set that will add value to your kitchenware.This is designed from high grade stainless steel and sports a dazzling finish which lends a touch of elegance to the simple design. This is designed from high grade stainless steel and sports a dazzling finish which lends a touch of elegance to the simple design. A simple decorative band adorns the handle and gives the design a classic look.﻿A product of top notch quality this one is a reliable set that will add value to your kitchenware. 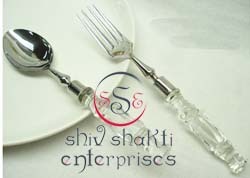 A simple decorative band adorns the handle and gives the design a classic look.﻿This is designed from high grade stainless steel and sports a dazzling finish which lends a touch of elegance to the simple design.A product of top notch quality this one is a reliable set that will add value to your kitchenware. This is designed from high grade stainless steel and sports a dazzling finish which lends a touch of elegance to the simple design. A simple decorative band adorns the handle and gives the design a classic look.﻿﻿﻿A product of top notch quality this one is a relaible set that will add value to your kitchenware. 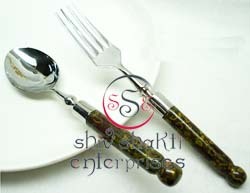 ﻿Cutlery set comes in a beautiful wooden box with velvet coverings. 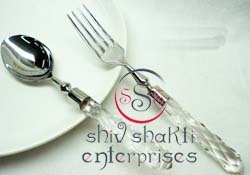 The shimmering beauty of these accessories shall surely enhance your appetite.﻿﻿﻿﻿With its sleek,stylish handle design and polished finish,it is deal for everyday use or can be taken out for those special occasions when you have to impress people﻿.